If you are looking for cheap and easy ways to beef up the sell of your home, then you will love the information listed here. There are some DIY home repairs listed that will increase the speed that your home sells. This is one of the rooms in the home that can make or break the sell. Even if it is a smaller kitchen, it can be perceived as “comfortable” and not small. You can redo the kitchen very cheaply. Make sure that you offer a fresh coat of paint. It is best to use light colors to brighten the kitchen up. When it comes to your pantry or cabinets, organize them to show that it can be spacious. You can even change out the kitchen faucet to make it look fresh for a minimum price. Although it may not be a big deal for you, appliances that do not match can put a buyer off. You can order new doors or panels. You can make the appliances match each other to offer an improved appeal. This includes appliance like the microwave, dishwasher, refrigerator, and other appliances that are included in the kitchen. Besides the kitchen, the bathroom is another focus point when a homebuyer is inspecting a potential home. You can upgrade the bathroom or make it look fresh with very little money, so do not worry too much about cost. If the flooring is not fresh looking, it can be fairly cheap to retile the floors. Bleach the tub, the toilet, and the sinks. Get rid of any orders or stains. Maybe even consider re-grouting them. Sure, you may have installed that carpet a few short years ago; however, it never hurts to give it a deep clean! Rent a carpet cleaner and clean it well. It will rid them of smells and it will bring new life to them. If you have hardwoods underneath your carpet it may serve you well to rip up the carpet and refinish the wood underneath for an updated look. Typically, older homes do not offer a lot of storage space. However, you can remedy this by installing shelving or building a closet for a small price. 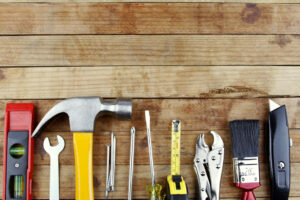 Fixes are easy to do when you are determined to sell your home. Small things like fresh paint and getting rid of a hole in the wall can spruce up the home enough to sell it fast. 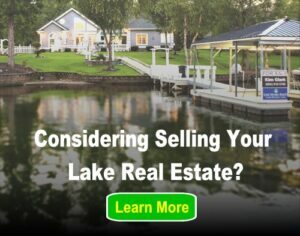 Next post: Who Owns Your Lake Shoreline?